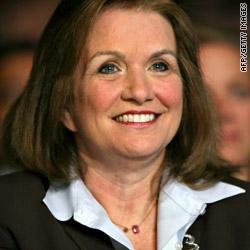 Elizabeth Edwards, the estranged wife of former North Carolina senator and presidential candidate John Edwards, died Tuesday morning after a lengthy battle with breast cancer. She was 61. NBC News is reporting, gravely ill with cancer that no longer responded to treatment, Elizabeth Edwards was reportedly not in any pain and was surrounded at home in North Carolina by family and friends, including her estranged husband John Edwards, a former Democratic presidential candidate. Family friends provided to NBC News this statement from the Edwards Family. “Elizabeth Anania Edwards, mother, author, advocate died today at her home in Chapel Hill, surrounded by her family. “Today we have lost the comfort of Elizabeth’s presence but she remains the heart of this family. “Michelle and I were deeply saddened to learn of the passing of Elizabeth Edwards. This afternoon I spoke to Cate Edwards and John Edwards, and offered our family’s condolences. I came to know and admire Elizabeth over the course of the presidential campaign. She was a tenacious advocate for fixing our health care system and fighting poverty, and our country has benefited from the voice she gave to the cause of building a society that lifts up all those left behind. In her life, Elizabeth Edwards knew tragedy and pain. Many others would have turned inward; many others in the face of such adversity would have given up. But through all that she endured, Elizabeth revealed a kind of fortitude and grace that will long remain a source of inspiration. Our thoughts and prayers are with her family and friends.” – President Obama’s Statement on the death of Edwards. Myung-bak called an emergency security meeting shortly after the initial shelling that killed 2 South Korean soldiers and wounded others and the death toll may climb, according to NBC News. The White House said Tuesday, President Barrack Obama was awakened in the early morning hours and given an emergency briefing on the situation. A spokesman for the President says Mr. Obama plans to speak with the South Korean President. The White House is strongly condemning the attack saying the United States will honor its alliance obligations to the South. ORIGIONAL STORY: The South Korean island was attacked Tuesday by North Korean artillery shells in one of the most aggressive attacks on the country since the Korean War, NBC News is reporting. 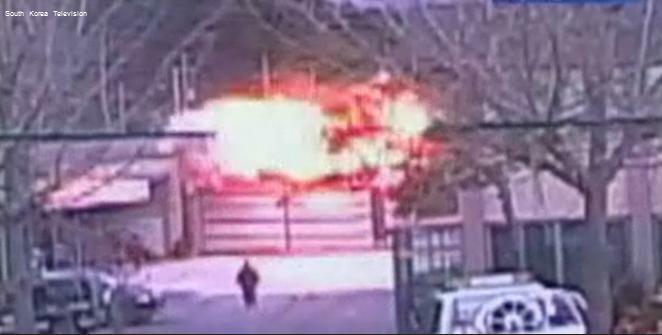 The North’s military attack killed 2 South Korean soldiers, wounded 15 others, and set up to 70 houses ablaze, according to South Korean TV YTN. AP / Tentions mounting in South Korea after the attack from the North, which claims to have a strong and growing nuclear weapons program. For decades, North Korea has been a concern on the global front for their nuclear program. North Korea possesses nuclear weapons that may be able to reach as far as the United States. Many fear escalation could bring the two nations closer to the brink of nuclear war. TERRE HAUTE — Reports show Vigo County is in the top 3 counties in Indiana with meth problems. It’s 6 in the state for alcohol abuse. But some people no longer want to be part of that statistic. We see time and time again the effects drugs and alcohol can have on individuals, their families and their communities. Some people are getting a new lease on life. It’s all thanks to the Freebirds residential treatment center in Terre Haute. Some residents are sentenced to recovery here, others go by choice. But the outcome and the goal is the same. Freebirds houses, educates and treats people addicted to drugs or alcohol. “I got out of jail and I just realized I was done with this and I went through rehab,” Williams said. While in rehab, Williams found out about Freebirds. 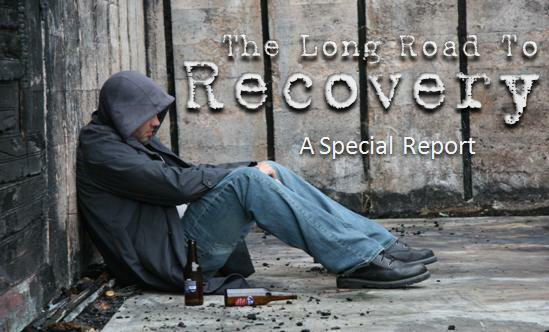 His battle with alcohol abuse put a strain on his health and his relationship with his family. Stacy Basham discovered she needed a change after years of drug use and jail time. She got help and now works at the facility, helping others with their battles. Now, Stacy credits God, and help from the Freebirds, for her remarkable recovery. Now that you’ve read how successful the program is, how do they do it? 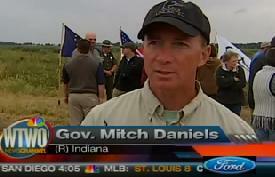 Find out Thursday night on NBC 2 News at 11 and right here on the David Shepherd Newsblog. COPIAPO, CHILE – – It’s been a long, tough road for 33 trapped miners and their families. Wednesday, after being buried 2,300 feet below the surface in a refuge chamber for 70 days, more than half of the miners have been reunited with their families. The reunion is emotional, celebratory, and brief. In moments, they are put on a stretcher and rushed to an on-site medical facility where they are examined by a team of doctors. As of 1:00 ET, 17 miners had been lifted through the narrow opening and brought to safety. The rescue operation started Tuesday night. 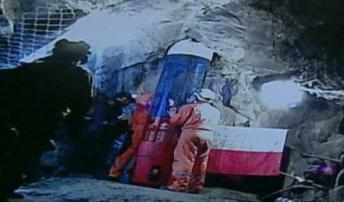 Underground camera shows rescue workers placing a trapped miner in the capsule that will lift him 2,300 feet to the surface. 10:57 ET – – – The first miner entered the rescue capsule and began the process of being lifted to safety. The family of 31-year-old miner Florencio Avalos anxiously waited at the top of the rescue shaft for him to be lifted the 2,300 feet from the refuge chamber to the surface. 11:11 ET – – – The first of the rescued miners made it to the surface. Chile’s President and the family of Florencio Avalos briefly greeted him before he was rushed to the on-site medical facility to be seen by a doctor. The rescue workers, family and friends cheered and exchanged hugs moments after Avalos was freed. Moments later, another rescue worker headed down to continue with the long rescue process. 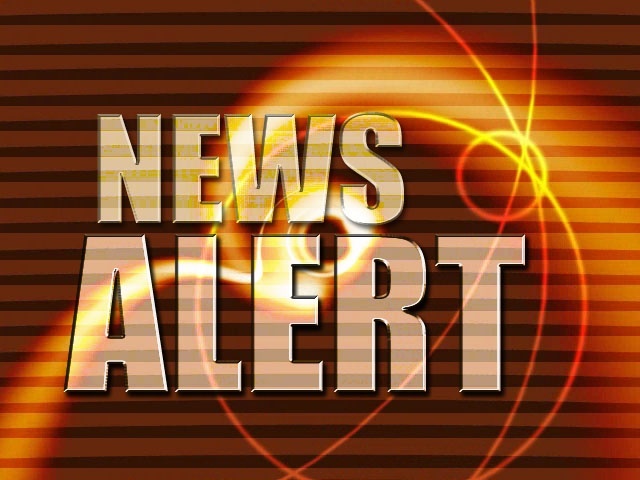 11:30 ET – – – Chile’s President made an official announcement to that the first trapped miner has been rescued. He thanked the rescue workers and says he hopes the rescue efforts will continue to show what the engineers and the people of Chile are capable of. He wished the miners a full and happy life. He calls the operation emotional and clean. Chile’s President acknowledges the mine has a long history of problems and vows to build a memorial at “Camp Hope” as a tribute to the miners and the families for all of the turmoil they’ve been through these past months. This crisis began on August 5 when 700,000 tons of rock collapsed and trapped the 33 miners more than 2,000 feet underground. NEW DETAILS: The first gunman is dead and a possible second “suspect” is at large, according to NBC affiliate KXAN – TV in Austin, Texas. Police are looking for possible explosives that may have been left behind.Civil Defense sirens can be heard going off all over campus alerting students of the potential danger. 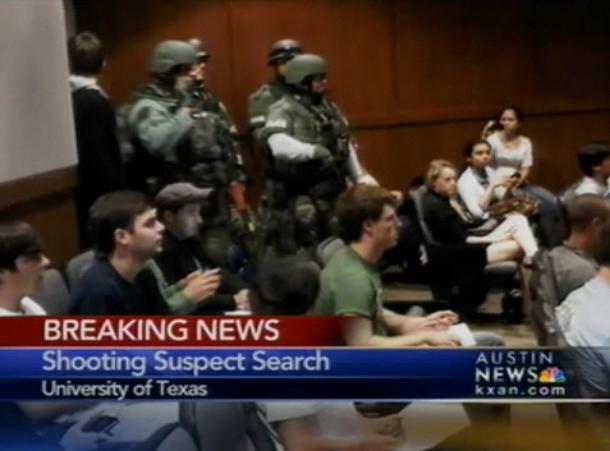 We are learning more about the shots fired inside the library. KXAN is reporting the gun used was an AK-47. Reports say the gunman wore a suit and a ski mask. The name of the gunman has not been released as police focus on the possibility of a second suspect and possible explosives. 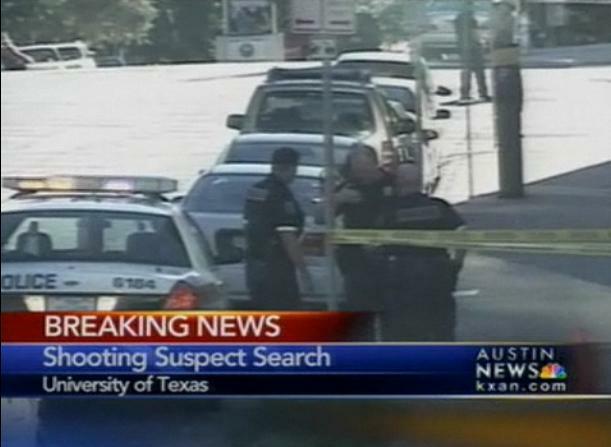 First News Update: NBC News has learned a suspected gunman fired shots in the library at the University of Texas in Austin before fatally shooting himself. according to a post on the university police department’s Facebook page. The university says no one else has been hurt. I’m getting new information in and will update the story as those details become available. A U.S. District Judge entered a ruling Friday ordering the Air Force to reinstate former Maj. Margaret Witt, who was discharged under the “Don’t Ask, Don’t Tell” policy that bars gays from serving openly in the military. Witt filed a lawsuit to get her job back. NBC News is reporting, in 2008, a federal appeals court panel ruled in her case that the military can’t discharge people for being gay unless it proves their firing furthered military goals. After a six-day trial, the judge said testimony proved Witt was an outstanding nurse and her reinstatement would do nothing to hurt unit morale. 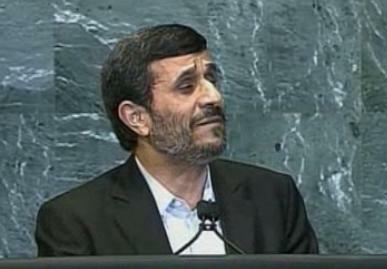 Iran's President, Mahmoud Ahmadinejad, addressed the United Nations Thursday. His remarks prompted a walkout. United States diplomats walked out of the United Nations Thursday as Iranian president Mahmoud Ahmadinejad spoke to the General Assembly. Sources tell NBC News Ahmadinejad’s remarks, in which he said most people in the world believe the United States was behind the terror attacks on September 11, 2001, prompted the walkout. 27 European Union delegations followed along with diplomats from Canada, Costa Rica, New Zealand and Australia. Friday, Ahmadinejad held a press conference to defend his remarks. During that conference in New York, the Iranian President asked the U.N. to set up a commission to investigate the 9/11 attacks. “I did not pass judgment, but don’t you feel that the time has come to have a fact finding committee,” Ahmadinejad told reporters earlier today. Officials in North Carolina announced an evacuation for the Ocracoke Island beginning at 5 a.m. NBC News is reporting tourists are being ordered to leave the barrier island which is only accessible by ferry. At this time, year-round residents on the Ocracoke Island are being urged to evacuate but have the option to stay. 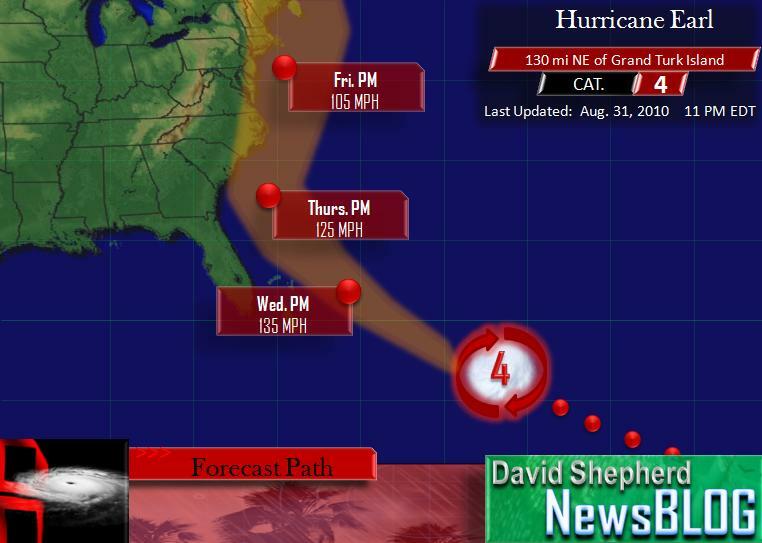 That could change if the powerful storm shifts from its current path. Hurricane Earl, a powerful Category 4 hurricane is forcing officials up and down the east coast to get a plan ready in case the monster storm makes landfall. On Tuesday, NBC News reported gusty winds from Earl’s outer fringes are creating waves that are pounding the Grand Turk shore. The hurricane’s wrath is two-fold this go around. 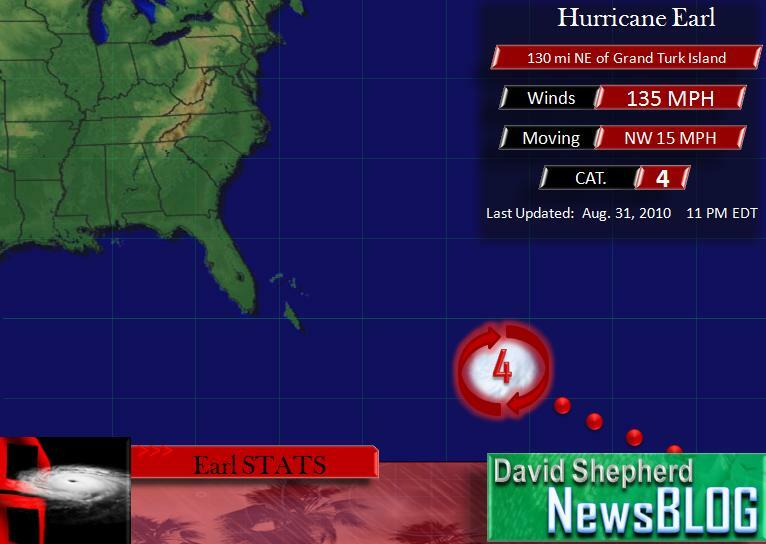 First, the usual damage and risk of injury or death that comes with any powerful hurricane. But Earl is whipping up a second problem. His expected arrival comes on the heels of the busy Labor Day Weekend; beach-front businesses usually do a great deal of business on a hot, sunny Labor Day Weekend. 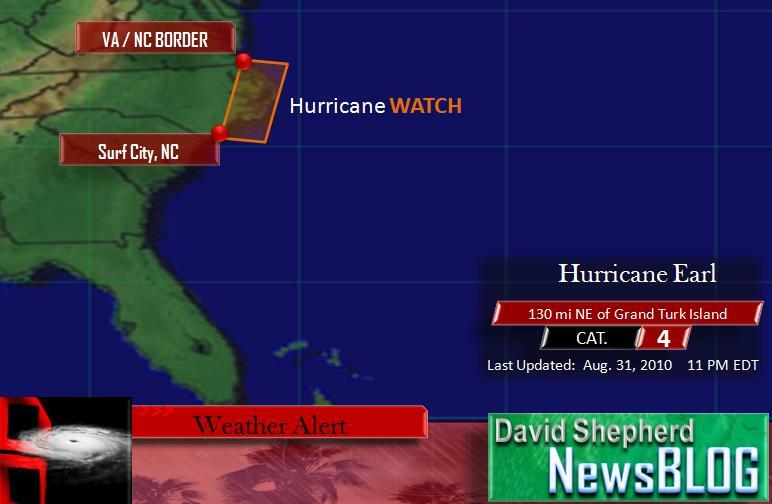 But with a powerful force of nature eyeing North Carolina’s coast, tourists appear to be checking out. Forecasters say it’s too soon to know exactly what path Earl with take over the next few days. The likely track would take the storm’s center just along the east coast, possibly making partial landfall somewhere along North Carolina’s coastline. This storm doesn’t appear to be taking direct aim at the east coast. But, as it rides north, just barley hugging the coastline by Thursday night, coastal areas can expect hurricane conditions. But at the same time don’t forget, these storms can, and often do, change paths. 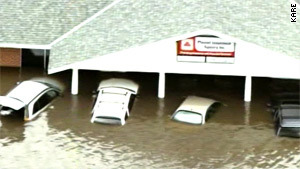 Hurricanes are very unpredictable and can change at any time. Everyone along the east-coast, including places like North and South Carolina, Virginia, Maryland and Delaware should keep a close eye on this storm as it may affect those areas with powerful hurricane-force winds, storm surge and flooding.